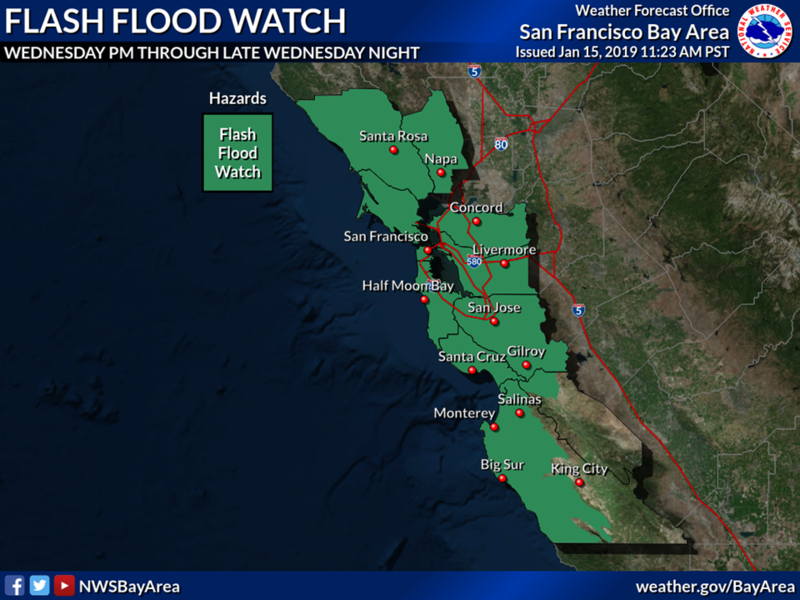 The National Weather Service has issued a flash flood watch and high wind advisory for all of Alameda County beginning Wednesday through Thursday along with a high wind warning for the east bay hills. Rainfall totals of 1 to 1.5 inches with potential thunderstorms have been forecast. 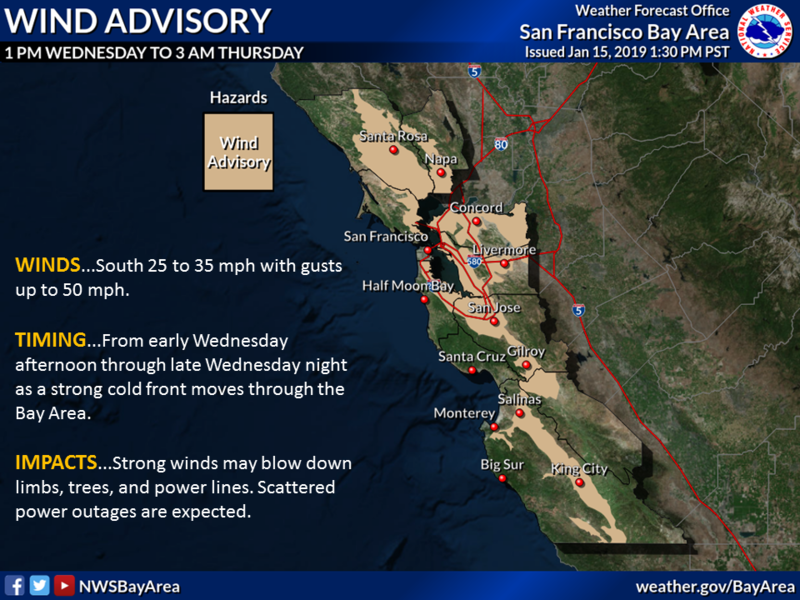 Wind gusts up to 50 miles per hour are anticipated, with peak winds occurring Wednesday night through Thursday morning. Ground saturation combined with high winds increases the potential for downed trees, mud slides and power outages. For more information go to https://www.weather.gov/mtr/ and stay tuned to local media outlets for storm updates.